This OOAK bag is hight quality art miniature of 1/4th scale for your 16inch fashion doll as doll accessory or into your doll house. This OOAK bag is hight quality art miniature of 1/4th scale for your 16inch fashion doll as doll accessory or into your doll house. The size is 7 x 8 x 2.5 cm (width x height x depth) measured with the straps. The used materials are soft quality genuine leather and jewellery silver metal wire. View the picture gallery with hi-resolution photos. Only the bag is included. 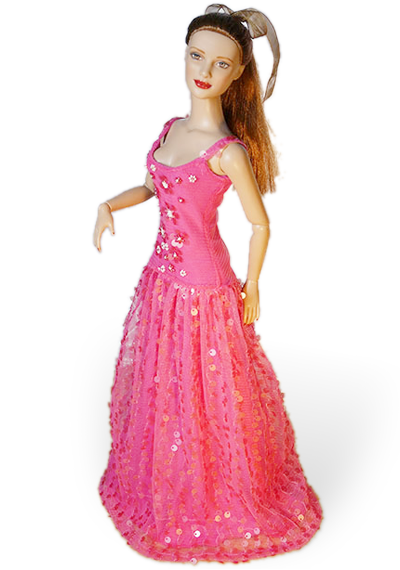 The doll, dress and decoration are not included. I'll put into pack printed sheet with short description and care about.